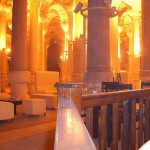 To the west of the hippodrome, the Binbirdirek Cistern (Turkish: Binbirdirek Sarnıcı) is the second largest cistern in Istanbul. 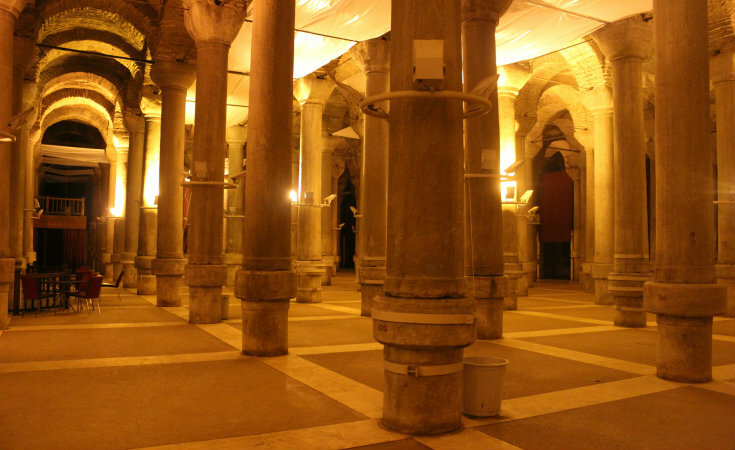 Built in the 4th Century, the cistern is supported by 224 columns. To the west of the Hippodrome, the Binbirdirek Cistern (Turkish: Binbirdirek Sarnıcı) is the second largest cistern in Istanbul ( After the Yerebatan Cistern). Built in the 4th Century, the cistern is supported by 224 columns, each made of marble stone, which was brought from the Marmara Island. After it got completely detroyed in the year 475 by a fire, it got restored by Justinian I in the 6th century. 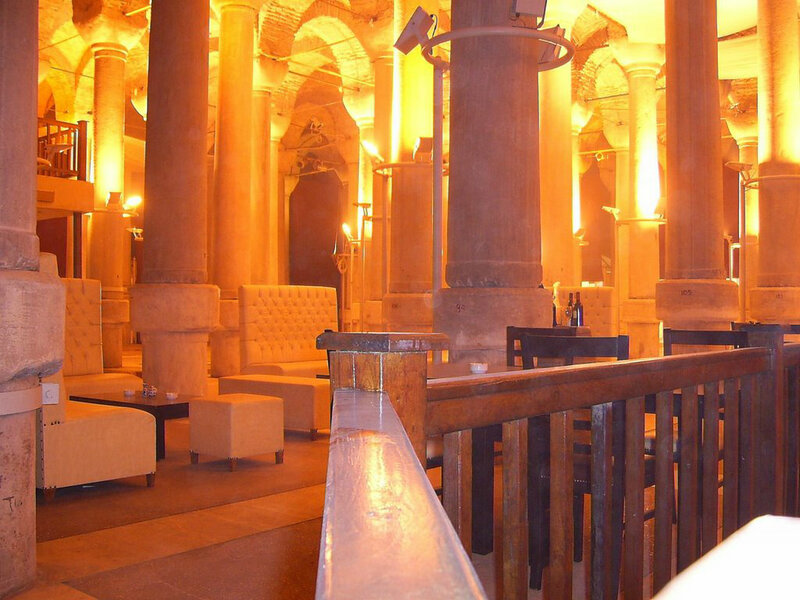 After the Ottoman conquest in 1453, the cistern fell into disuse and eventually dried up. İts origin use was forgotten and it would be used for workshops until the rediscovery during the construction of a palace on the same site in the 17th century. The cistern was recently restored and is now open to visitors and different kinds of organizations.